At Gradco we believe that our people are our biggest asset; that’s why we are committed to employing and retaining exceptional people. Our strength is built on a diversity of people, together with the skills, experience and passion they bring to our business. We consider this gives us a great competitive advantage. We want people who support our culture and values: Professionalism, Integrity, Safety, Teamwork, Achievement and Environmental awareness. 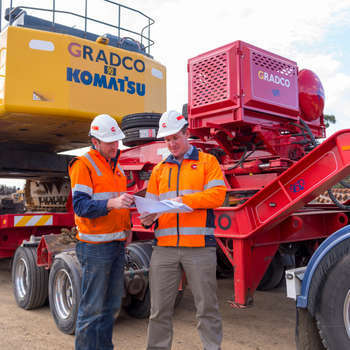 To search a list of jobs currently on offer at Gradco please click here.